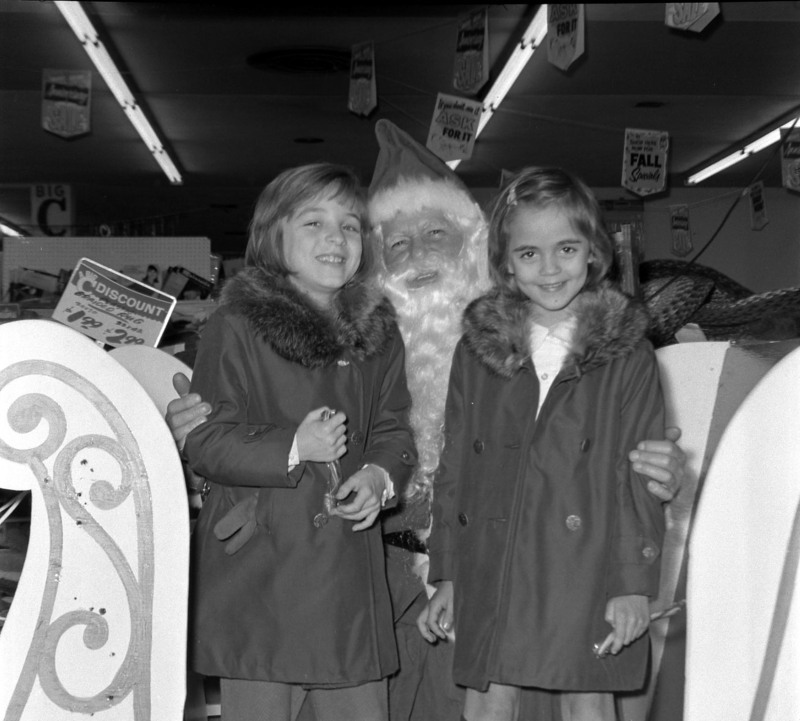 Were you one of those kids or parents who had your picture taken with Santa at the Big C in 1965? I have a fuzzier memory than most but I do remember a little bit about the Big C variety store in the Fairless Hills Shopping Center. In its earlier incarnation, the center held a movie theater, a bowling alley and the Big C. What do you remember about it? The Asro Archives Collection has a number of photos of the Big C owner Charlie with others whom we can’t identify, but are likely to be friends and associates. The Big C like other area stores sponsored visits from Santa and Gene took the photographs. We have approximately 500 indexed visits with Santa photos of children and families that were taken there in 1965. The list of names below is just the beginning and we’ll add more as the index is computerized. Gene oftentimes typed in names phonetically so they may not be spelled correctly. For instance—we noticed there were a lot of Lin(s) in his index. This was probably meant to be Lynn or Lynne. my sister and i could be on your list. our names were: Gayle & Dorothy Terry…… Could you please check. I rememer those days going up to that shopping center with our parents. Interesting, I actually recognized some of the names. I don’t suppose you have the actual pictures available, do you? We have the negatives which can be scanned. how would you go about seeing some of these pictures? I have a good friend on here and would love to surprise her with a picture!